The Massachusetts Bay Transportation Authority (MBTA) is launching MBTA-realtime, its new developer platform, on June 4. Service alerts will be available over an API and in GTFS-realtime, with real-time information to follow later this year. 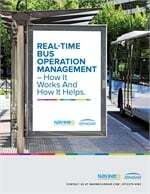 After first releasing its schedule data in the industry-standard GTFS format to developers in 2009, the MBTA jumped to the forefront of sharing real-time transit data by making live location and prediction data for all 1,000 buses available to developers in 2010. It has since then made subway and commuter rail real-time data available; instead of offering predictions on its own website the “T” has a page highlighting over 50 third-party apps. But, the fast-moving projects have left the data in a variety of mismatched formats, identifiers that only sporadically correspond to its own GTFS data and no integration with service alerts. That lack of integration meant that an application might tell a customer that a train would be at his station in five minutes, but have no good way to know that the station had just been temporarily closed. MBTA-realtime is built from the ground up to integrate real-time information and alerts and to build them both around a core of GTFS data. For example, when dispatchers enters an alert that a bus route is on detour, they select not just the route from a list but each stop bypassed from a list of all stops served; if a commuter rail trip is delayed they can select the trip from a list of trips. Not only does this make alerts more detailed, but because the options chosen are shared with developers and are based on the same GTFS core they may be using, it opens up new opportunities in filtering, displaying and using the information. The information is available through a straightforward new API which is ideal for mobile apps or websites that retrieve data as-needed, as well as in GTFS-realtime, the new Protocol Buffer extension to GTFS that lets applications get all available information in a very small package. Finally, an updated RSS feed of alerts remains available for those who just want a straightforward way to display them. The MBTA plans to integrate real-time information for subway and commuter rail into the same system later this year. No decision has been made regarding whether to add real-time bus data in the future. The rollout coincides with a refreshed service alert Webpage on its website and a shift to a new provider, GovDelivery, for its “T-Alerts” alert notification service. T-Alerts has more than 50,000 email and SMS subscribers.